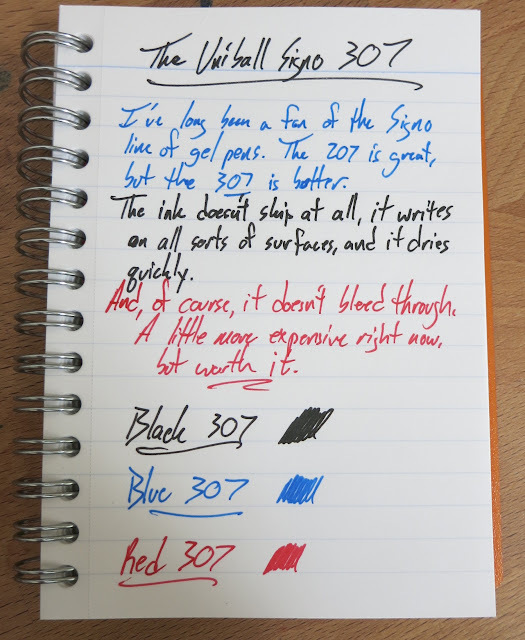 Uni-Ball Signo 307 | Inkdependence! So, I'm on a roll with non-fountain pens this week, and I have a TON of them, so I'm going to keep this rollin'. This is a new model of the popular Signo. 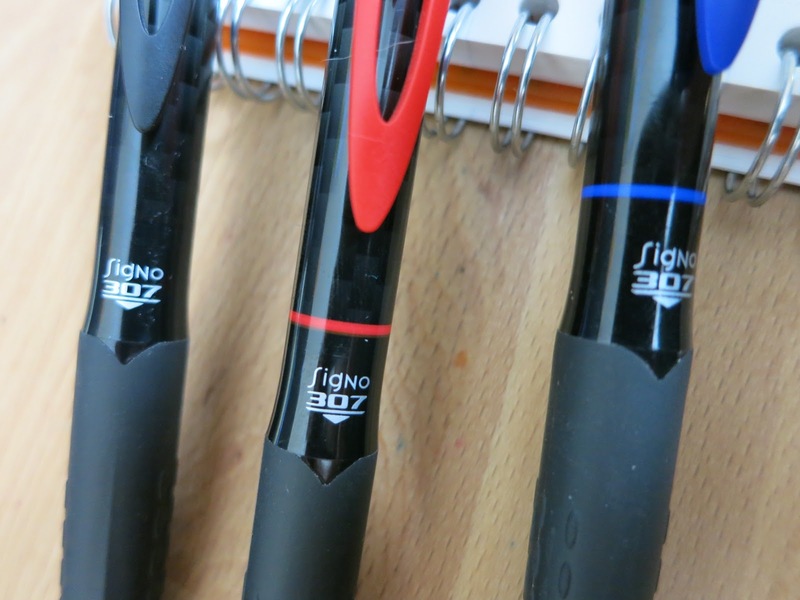 Signo has been my favorite gel pen for a long time, and I'm sure everyone is familiar with the 207 pens. 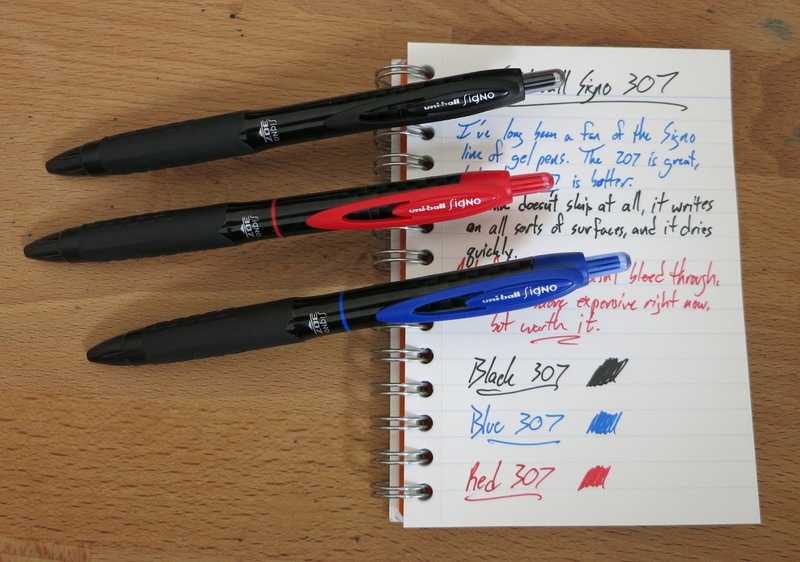 The new 307 line improves the older model with better writing on slick paper, less skipping (read that as "no skipping"), and more coherent color. These are a bit more expensive and a bit harder to find, but they're worth it. Actually, I think I've only seen these at Target stores. If I remember correctly, they were about $6 $4-5 for the 3-pack. 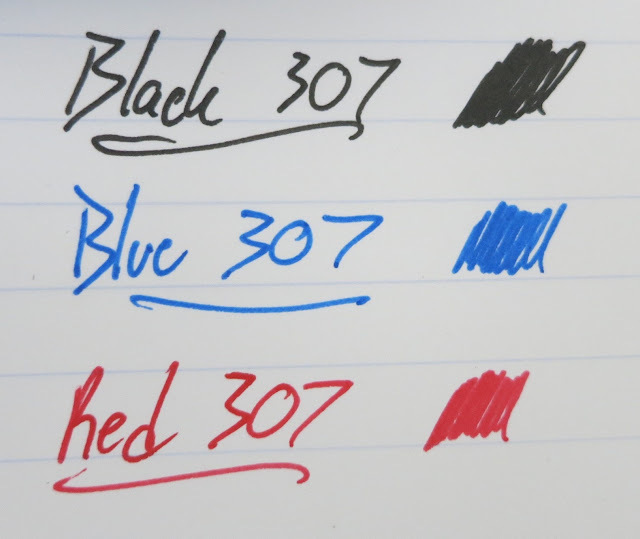 ADDITION: I just found out that these pens write on Rite in the Rain notebooks. That's something that regular gel pens can't handle. 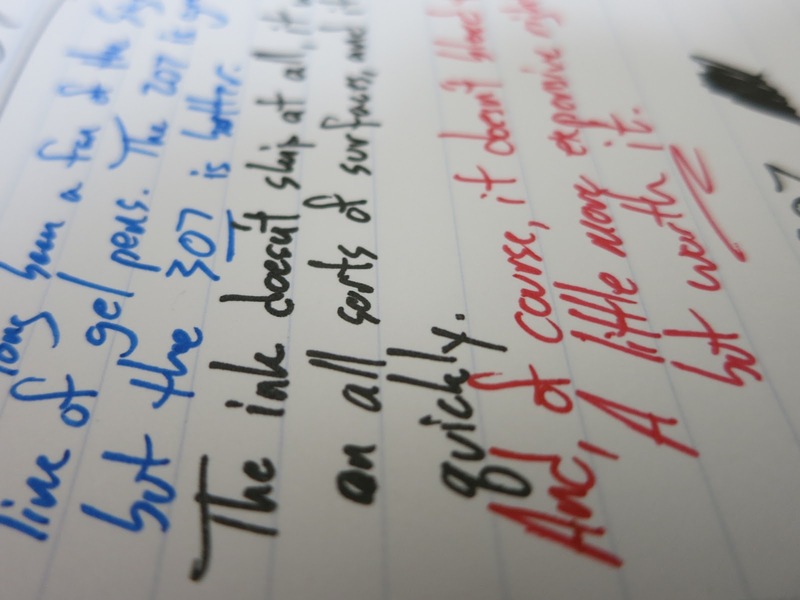 Those lines are dark enough to be a rollerball or liquid ink pen, but they're not. They're gel. The body of this pen is basically like the 207, so if you like that form you'll be pleased. The barrel is opaque and there's a hint of a carbon fiber pattern in there. So, yeah. Get some of these if you see them. They're great. I really hope they get more popular and Uniball keeps them around. They're a solid upgrade to a great gel pen.